Before the arrival of the low-floor deliveries, the last double deckers IoMT bought new arrived in 1989-1990 consisting of 13 Northern Counties bodied Leyland Olympians, delivered in three batches. 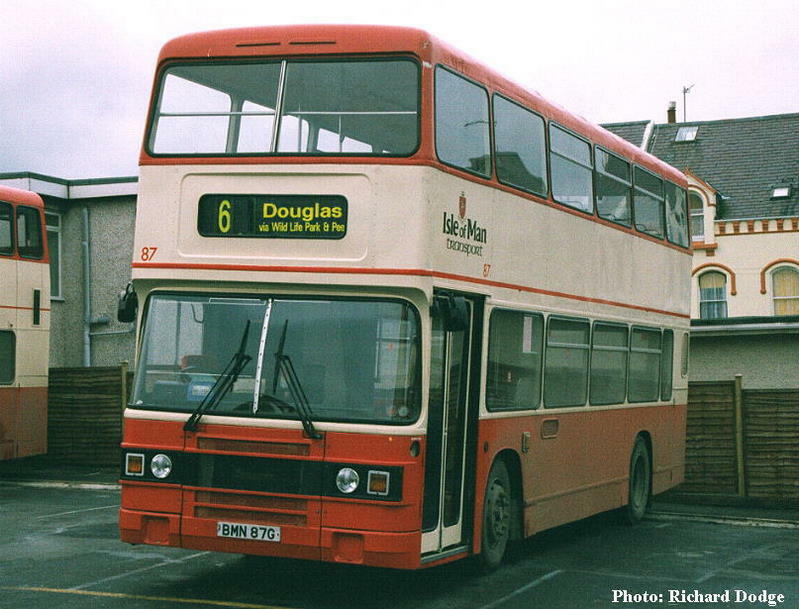 From the middle batch, totaling two buses, came 66 (BMN 66P), seen at Douglas railway yard complete with a retro-fitted electronic destination, the only Olympian so attired. 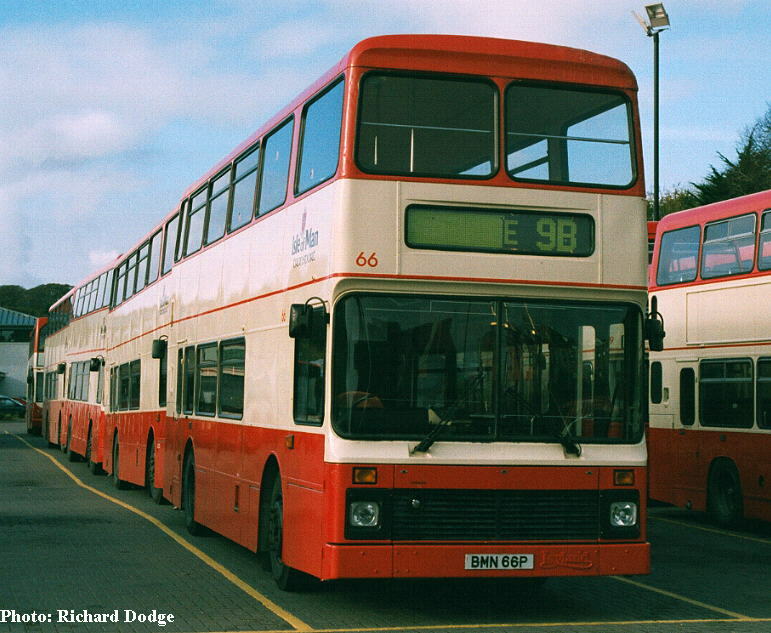 It was twelve years after the formation of the Island's nationalised bus undertaking that delivery of new double-deck buses occurred, with the arrival of six all-Leyland Olympians in 1988. The bodywork was some of the first built after Leyland resumed bus body construction following over thirty years absence from this market, and was not without some teething troubles, which resulted in each of the batch being returned to Workington for attention, in some cases more than once. 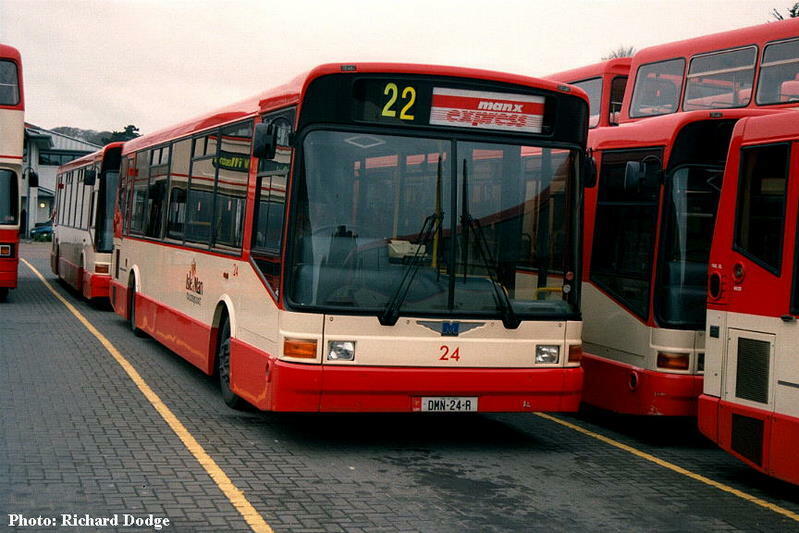 Just two of the batch survive having notched up twenty years service with Isle of Man Transport, including 87 (BMN 87G), seen parked at the rear of Ramsey garage. 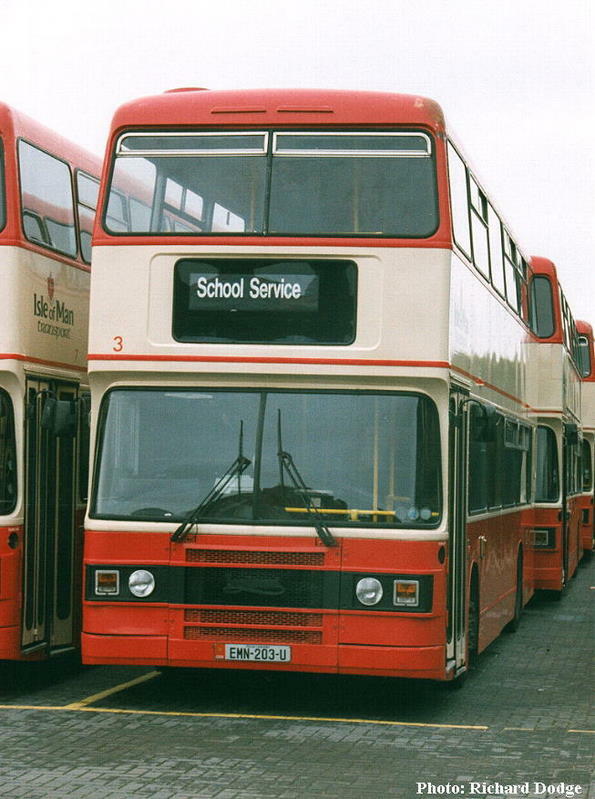 This bus spent over two years out of use following severe front-end accident damage, which was expertly repaired by IOMT's staff at Homefield garage.